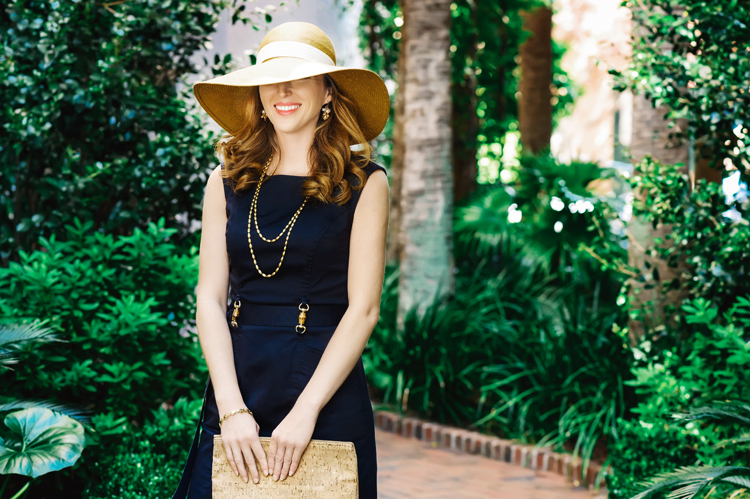 Planters Inn is an acclaimed luxury boutique hotel in Charleston, South Carolina, that combines elegant Southern style with contemporary sophistication in a central location. Readers of Travel + Leisure voted Planters Inn the #1 Best U.S. Boutique Hotel in 2014. Planters Inn is the only hotel in the United States to be furnished exclusively with décor from Baker's Historic Charleston Collection including a magnificent four-poster bed in every guest room. From the romantic courtyard setting to the jewel box-style Champagne Bar and the renowned Dining Room enveloped in oyster-tone velvet, Peninsula Grill offers Charleston’s premier dining experience. Set in the heart of the Historic District, Planters Inn is ideally located for sightseeing, shopping, and dining in Charleston. Known for sensational style and service, Relais & Châteaux properties embody the “Five C's”: charm, courtesy, character, cuisine, and calm. 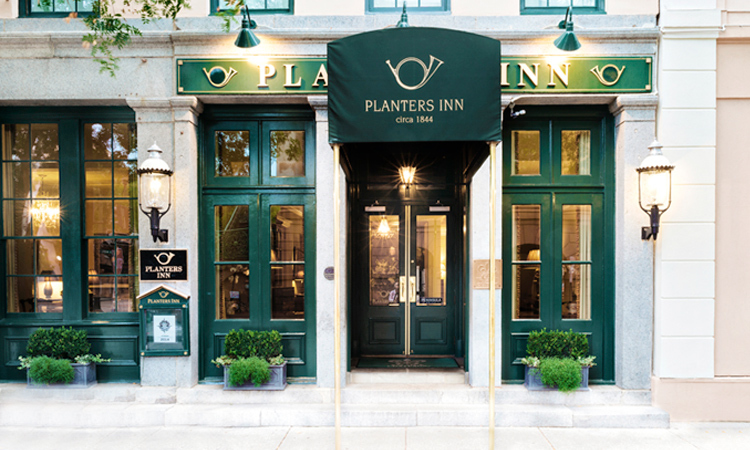 Planters Inn has been a member of Relais & Châteaux since 1998. 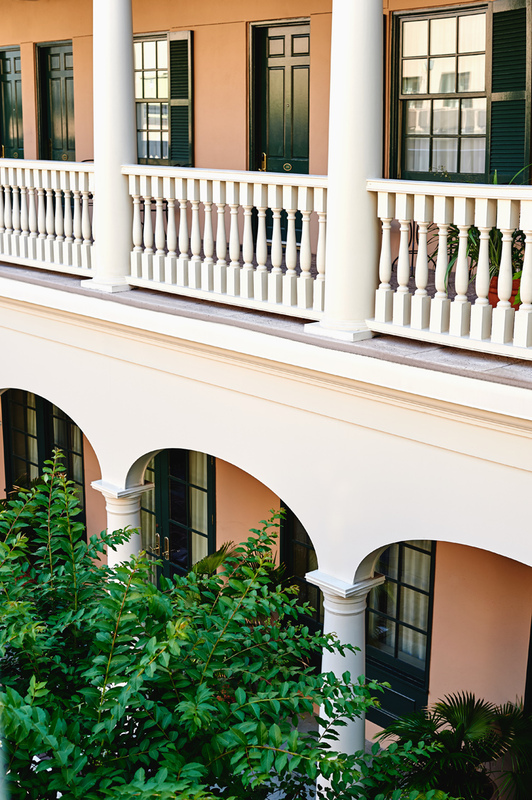 Why You’ll Love It: The intimate 64-room Planters Inn luxury boutique hotel has the best downtown location in the very heart of Charleston’s picturesque Historic District. We overlook the historic Charleston City Market with the best cultural attractions, shopping, dining, and sightseeing landmarks surrounding our hotel. We begin each day with complimentary coffee service in the parlor. Mid-morning, a refreshing blend of orange and mango tea replaces the coffee. 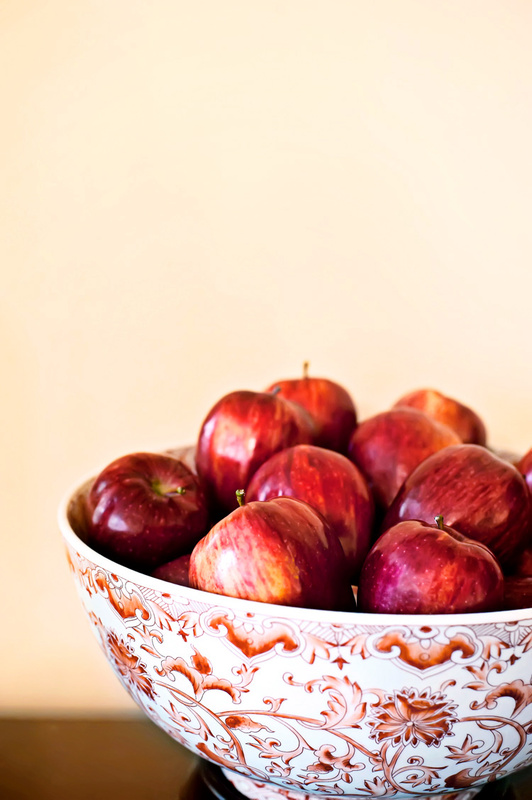 A bowl of fresh apples also appears. Please take one with you while you explore the city. 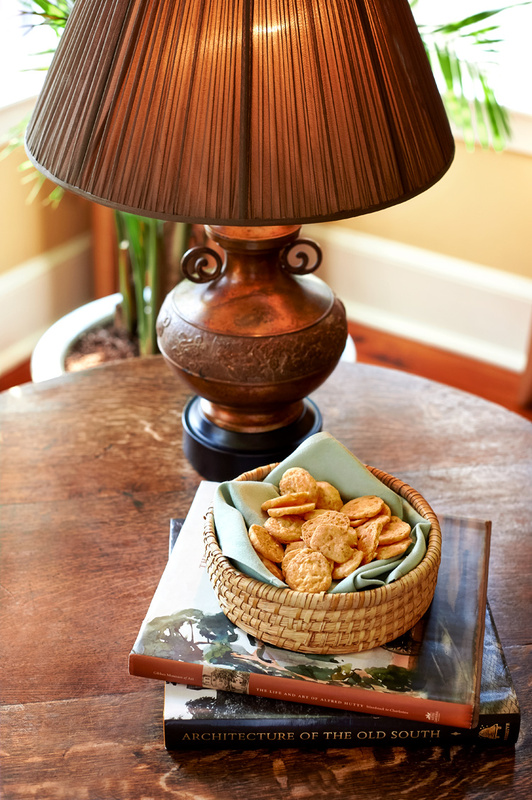 The Planters Inn is home to the AAA Four Diamond ranked and nationally acclaimed Peninsula Grill, the foremost culinary experience in Charleston. 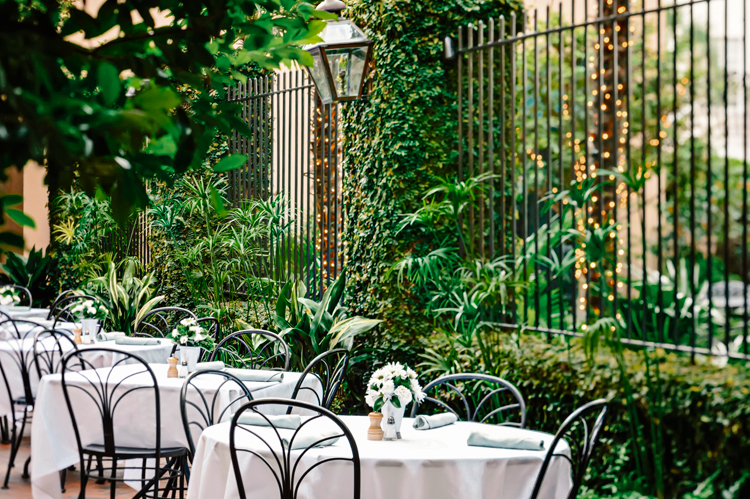 We are the only luxury boutique hotel in Charleston to serve dinner in a spectacular private courtyard illuminated by flickering carriage lanterns. We are the only hotel in the United States to be furnished exclusively with Baker Historic Charleston Collection decor including a magnificent handcrafted four-poster bed in every guest room. Retreat to your guest room or suite after evening turndown service and discover delicious macarons waiting beside your bed, a sweet bite courtesy of Peninsula Grill's talented pastry chef. 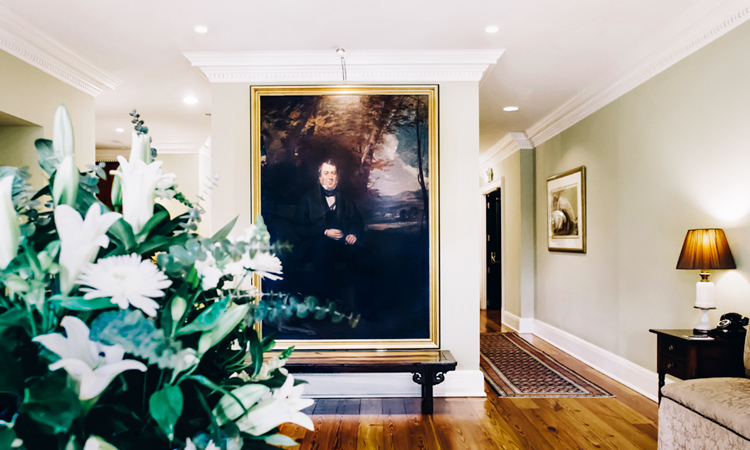 The Planters Inn is housed in a meticulously restored and exquisitely furnished 1844 building described as “akin to an overnight with well-to-do friends in their old Charleston mansion” by Travel + Leisure magazine. In 2014, readers of Travel + Leisure voted Planters Inn the #1 Best Boutique Hotel in the United States. The Planters Inn parlor is an airy enclave of understated elegance, a vision brought to life by acclaimed designer Amelia Handegan. 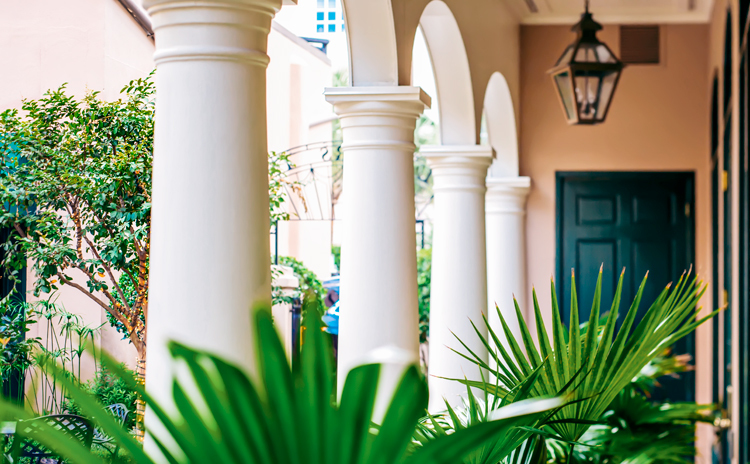 Our downtown Charleston hotel features a beguiling hidden courtyard created by Sheila Wertimer, the landscape architect behind some of Charleston’s most elegant gardens. The Planters Inn is locally owned and a longstanding member of Relais & Châteaux, the exclusive collection of beautiful boutique hotels and gourmet restaurants in the world’s most romantic destinations. For added ease during your stay, Planters Inn offers complimentary wireless internet access as well as 24-hour valet parking for a per night fee. TO YOUR ROOM WITH NIGHTLY TURNDOWN.